Do You Really Know What’s Going on in the Retail Flooring Industry? 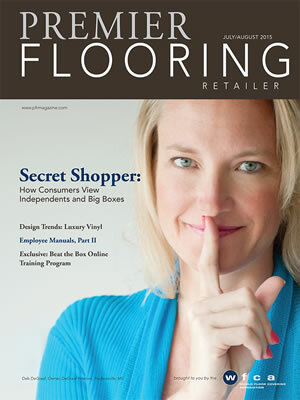 Have you read the “Secret Shopper Research, the In-store Evaluation?” It’s in the September/October, 2015 issue of the Premier Flooring Retailer, published by the World Floor Covering Association. (This is the first of the reports, the new one isn’t yet posted. )If you haven’t, I suggest you do. It is definitely thought provoking. I know the sampling isn’t thousands, but it’s enough to make you question what you’re doing. The survey is being conducted by David Romano, Founder and Owner, Benchmarkinc. I have not read part one, only the second part; How Consumers View Independent Flooring Retailers & Big-Box Stores.” Frankly, the statistics and information have not made me feel warm and fuzzy about the flooring industry in general. This seems a bit dismal to me. Maybe we all need to step up our game and pay attention to improving profits in our industry. Do we forget to train about qualifying the customers or how and why to offer financing? It seems unlikely. Both statistics are connected to selling at higher prices and getting better margins. The financing partners have spent considerable money on training and offering special packages to retailers, what are we missing? Everyone talks about the value of selling at higher prices and improving their bottom line but this survey clearly points out that it didn’t happen with this group. Why wouldn’t a store want to sell at higher prices? Over the years I’ve heard many excuses for not selling better products. Are we still afraid that showing better merchandise will scare a customer into not buying? Is the 2008 recession still in our heads? Do we think we’re insulting the customer if they can’t afford it? If we’re not doing a good job “qualifying,” how do we know whether or not they can afford it? (I don’t know but I always feel better when I’m shown the better merchandise, it gives me something new to think about. If I like the merchandise, I also rethink my budget.) Does your sales staff feel the same way about showing better merchandise? How are you paying your sales staff a good wage? Do you have enough traffic for them to go for the higher tickets or do they have to sell every customer no matter what the cost? How are you mining your leads and your sold customers? Are you so busy with everything except selling that no one has time to call past customers? In a June report from RSR Research, 41% said that employees aren’t spending enough time on selling and customer service, and 46% said staff is spending too much time on paperwork. Are salespeople just too busy with everything except selling? Being unable to qualify the customer is the prelude to “leaving money on the table.” Selling cheap customers almost guarantees cheap referrals. Do you have the mindset that any sale is better than no sale? Could you be selling better? I know if I were l in the retail business, I would be reviewing the “Secret Shopper Research” with my sales staff and working on training for the New Year. What does the article mean to them? Even if your business is doing well it can always strive to be better. The independent retailers claim to be the experts in the business but are we really? It’s tough to think that the Big Boxes are gaining on our territory. Maybe it’s time to rethink what we’re doing and go back to basics. I would love to know your thoughts about the survey. Lisbeth Calandrino is the Associate Publisher and Director of Social Media, Fabulous Floors Magazine. To find out more about Lisbeth, reach her at http://www.lisbethcalandrino.com. You meet the nicest people in the strangest places. Several weeks ago, I was returning from Surfaces, the floor covering market and found myself sitting next to Dan Buerkle and his wife. 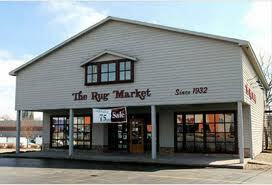 Dan is the owner of The Rug Market in Rochester, New York. We started talking, and Dan tells me his store, The Rug Market has been open since 1932 and was bought by his family in 1958. What makes his business unusual, is that Dan stocks 800 area rugs in his 3000 square foot floor covering store. Dan is the first person I’ve met that loves the area rug business and apparently is very successful. Dan’s dad was a road salesman for Gullistan Carpets. He was tired from being on the road and felt if he owned a retail store; he would be able to spend more time with his family. We all know how this went. As a young man, Dan had several part-time jobs, one with Wegmans. In 1963, Dan decided he would try working alongside his father. “I thought it would be a temporary job, but the industry was getting to me. I contribute much of my enthusiasm to industry educator Frank Mayfield. Frank was the first inductee into the World Floor Covering Hall of Fame and was considered a leader in the flooring and home furnishings industry. As I continued to listen, I realized the opportunity that was in front of me. I knew I could be part of something very valuable, and I could cause a change. In 1968, Dan’s dad retired and Dan assumed the leadership role. Area rugs seem to be a mystery to some retailers. However, Dan dedicates approximately 50% of his showroom to area rugs, and the other 50% to floor covering products, lighting, window treatments and accessories. Rochester was one of America’s first “boomtowns” and rose to prominence initially as the site of many flour mills located on the Genesee River, then as a major manufacturing hub. Rochester is now an international center of higher education, as well as medical and technological development. It continues to grow although experienced the recession of 2008 like the rest of the country, and I wondered how Dan made it through the recession. 1. Do your best to understand your business and your customers. Know their buying habits and watch the trends. When rugs don’t sell, get rid of them and find better ones to replace them. Attend trade shows. I attend the Atlanta Rug Mart, Surfaces and whatever else I feel will give me new ideas and products for my store. Look at fashion magazines, and look at new colors and styles. Fashion is fashion. Enjoy what you do. I realized I love area rugs; they’re magnificent and really dress up a home. I carry price points from $150.00 to $3000.00. I make sure the customer likes the rug they choose and suggest they take the rug home and make sure it is what they want. It’s just a question of finding the right rug. 3. Work with interior designers and let them know you want to be their resource. I have designers who have been with us for years. I let them know what I’ve seen at markets and what I’m planning on buying. I want to make sure I have things that will please their customers. Join a group that focuses on education, Dan is a member of joined CarpetsPlus Color Tile. CarpetsPlus Color Tile is a national chain of premier floor covering design centers. Founded in the fall of 1996, CarpetsPlus began with a philosophy that emphasizes the independent store ownership backed by the buying power of a national chain. The buying power has been extremely valuable to Dan as well as networking with other members. Continue to update your showroom. Dan says he’s in the business of making homes look good, so he has to invest in his own showroom. Don’t be afraid to try something new. Be optimistic and learn as much as you can about your industry. Dan finds the trade shows stimulating and enormously valuable. He and his wife love the trips, but the focus is on the products and education. Find your niche. I love area rugs and realized I was good at it. I built our brand by doing lots of advertising and word of mouth. You can’t be everything, but you can determine your path. When you find it, get better at it and stay with it. What’s next for Dan? “I realize social media would take us to another level, says Dan, and my daughter is coming in to help me.” I’m wondering, is she just visiting or will she be inspired by what has been in her family for generations? It may be hard for Dan to give up this temporary job. Dan can be reached at 585-544-8690. Lisbeth Calandrino has been helping businesses become more profitable for over 20 years. To have her speak to your staff or schedule a consultation, reach her at Lcalandrino@nycap.rr.com. Today I had the pleasure of interviewing Brian Battaglia, President of Overnite Capital. 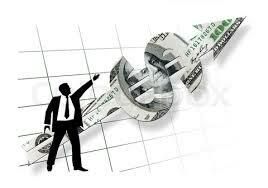 Overnite Capital helps businesses obtain financing through a process called factoring. Factoring isn’t new, but unlike traditional lines of credit that focus on a company’s credit score and profitability; factoring focuses on receivables and the customer’s ability to pay. The first thing you notice about Brian is his enthusiasm and excitement about business. Brian is a CPA by education, but you instantly know that Brian is more than what we call a “numbers guy.” Brian is a smart business person with a background in building successful companies. This is one of the things that separates Overnite Capital from other similar businesses. Of course, a company must qualify to benefit from Overnite Capital, but Brian is concerned about the success of the whole company. Brian has experience since 1990, providing financial services to companies on some level. At one point, he realized it was time to take his entrepreneurial skills and open his own business. Brian realized he not only had the skills to provide the financial services, but his overall business acumen, gave him a background to understand his client’s perspective. Traditional lending agencies, such as banks, are reluctant to loan money to businesses that are new, aren’t yet profitable and maybe the business owner’s personal credit is weak. If a business has good receivables, it shows that they are growing and might be a candidate for factoring. It’s simple. In the factoring process, you are, in essence, selling your receivables to Overnite Capital. Typically, your company will receive 80-90% up front money of the value of the invoice before to the customer has paid the invoice. The remaining 10-20% balance (reserve) is also your money after customer payment less Overnite’s fees. “All businesses start out small, says Brian; if the business doesn’t meet our qualifications when they apply, it doesn’t mean they won’t in the future. We take a good look at the growing potential of a company and one of those indicators is having strong customers. Real customer service is caring about your client’s success. Lisbeth Calandrinois Associate Publisher of Fabulous Floors Magazine and helps businesses’ build loyal customers through customer service and sales training. She can be reached at www.lisbethcalandrino.com.